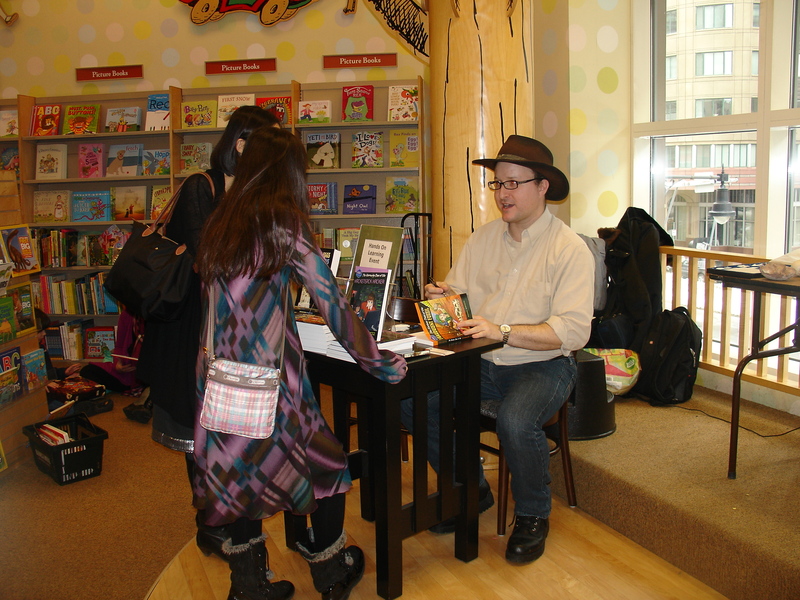 Barnas Monteith’s book launch of “Dinosaur Eggs & Blue Ribbons: Science Fairs Inside & Out” – this past weekend was a big hit! 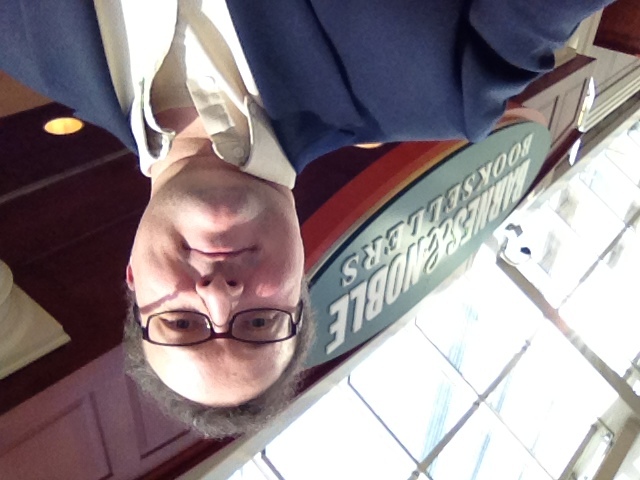 Be sure to visit your local Barnes & Noble and get your copy today. You can read more about the event and the book in a recent article by the Boston Herald, to be found here. As you can see, there were a number of children, interested in seeing dinosaur and reptile fossils as well as eggs and modern skulls from around the world. Perhaps future science fair participants/winners, or even paleontologists? 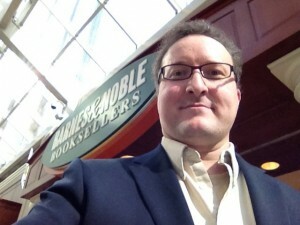 More signing events at Barnes & Nobles and independent bookstores throughout New England to be announced shortly. 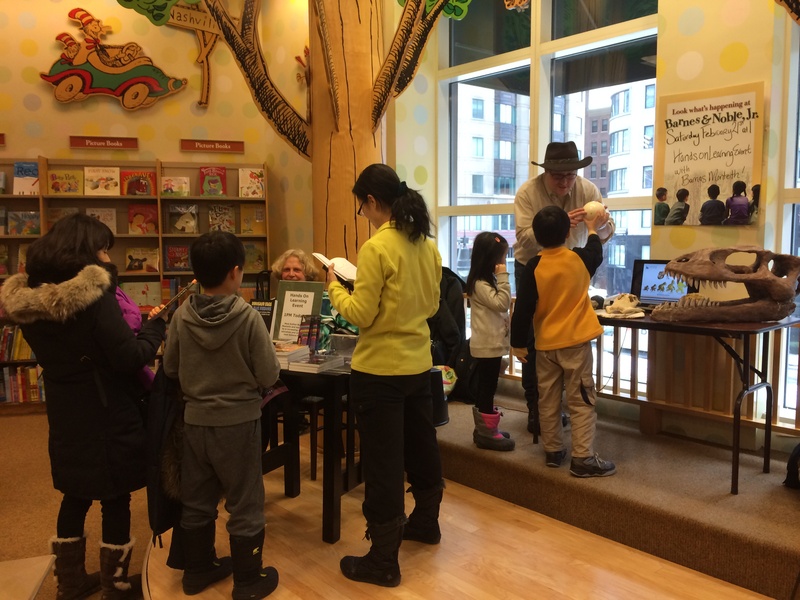 The book, which is part memoir, part adventure science, and part how-to-guide, helps children to understand science fairs better, and how to be more competitive. Unlike many science fair books out there, “DEBR” is written in a story/prose format, and is not full of lists, bulets, diagrams and stuff like that. It is full of first-hand accounts of working on paleontology field digs, in dangerous but fun conditions, making big fossil discoveries. It’s also full of first-hand information on how to win local, regional, state and International science fairs – told from the perspective of someone who has won many fairs, and has served as a judge, mentor and fair administrator. Lots of color pictures, and insider tips! It’s genuinely good reading for children who may or may not be interested in fairs, children who want to be more competitive, and teachers/parents who want to help their children to succeed in the science fair world. This entry was posted in Highlighted Posts. Bookmark the permalink.